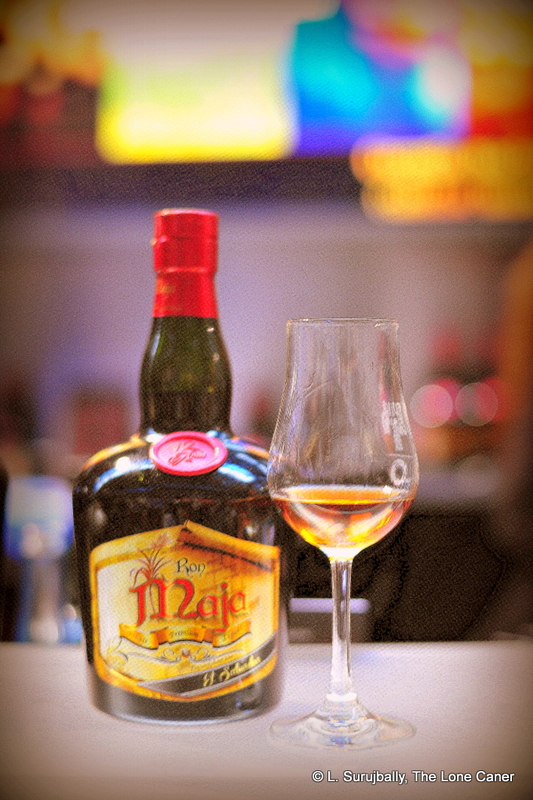 Back in 2015 I wrote about the Ron Maja 12 year old rum which purported to be from El Salvador based on the place of origin of the family behind it, but really wasn’t when one considered the location of the production process. Here’s another one from that country, which earns its geographical appellation somewhat more, though overall, there isn’t much more to it than its cousin. 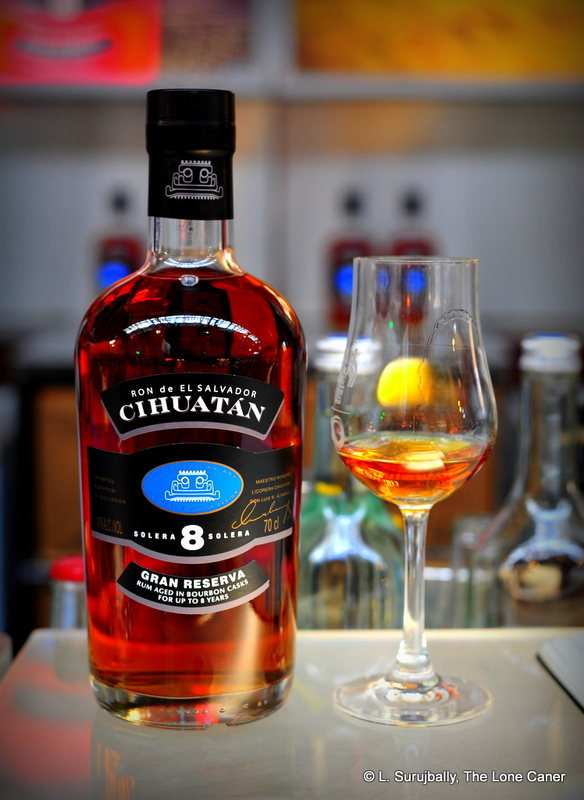 The dark gold Cihuatán is a molasses-based 40% Salvadorean rum aged in white oak ex-bourbon barrels, with the base distillate going into the 5-layer solera system in 2004 for eight years – that does not make it an eight year old rum, of course, just a rum with components up to eight years old inside it. It is made by Licorera Cihuatan, itself a subsidiary of Ingenio La Cabaña, one of the larger sugar concerns in the country (it was established in around 1920). It is a diversified company located north of San Salvador, and its main business is based on a sugar cane plantation, a sugar mill and a modern alcohol plant (built in 1999) with a multi-column still that produces various alcohols and liqueurs for both the leisure and industrial market. Sometime in the early 2000s the company wanted to ride the wave of rum’s resurgence as a premium drink and initiated their own brand, consulting with Luis Ayala (publisher of Got Rum? magazine) in the process. What came out the other end and hit the shelves in 2015 — mostly locally and in Europe — was this rum, which adheres to all the markers of a mid-tier solera without trying to reinvent the wheel. I’m not making a case for there to be something fantastically original about any new rum to hit the market, of course, and one cannot expect that from a solera in any case. Yet even by those standards, this was a remarkably quiet rum. There were no out-of-left-field smells emanating from the glass after the initial pour. No arrogant or aggressive fumes of pungency and power. No cask-strength olfactory bruising, simply a warm nose redolent of cherries, plums, some light florals, a touch of leather and somewhat of an excess of vanilla; plus, after some minutes, some oaken tannins. Nothing to write home about – rather simple, actually. That impression continued with the taste, mild and pleasant though it was – initially it was simply too sweet, and the vanilla was too much in the forefront. Some cocoa powder, coffee grounds stayed in the background, leaving the vanilla to duke it out with cherries and more plums, sugar cane sap and a touch of citrus, however indistinct it might have been. As I’ve remarked on several soleras before now, they tend to be more sweet than the norm, and much lighter, though with a good one there’s always some edge to the experience, with sharper citrus and fruity notes that ameliorate the saccharine. Here this was not the case, and even with water not much more could be picked it out, and so it all led to a soft and warm exit, with some floral notes rejoining the vanilla party. 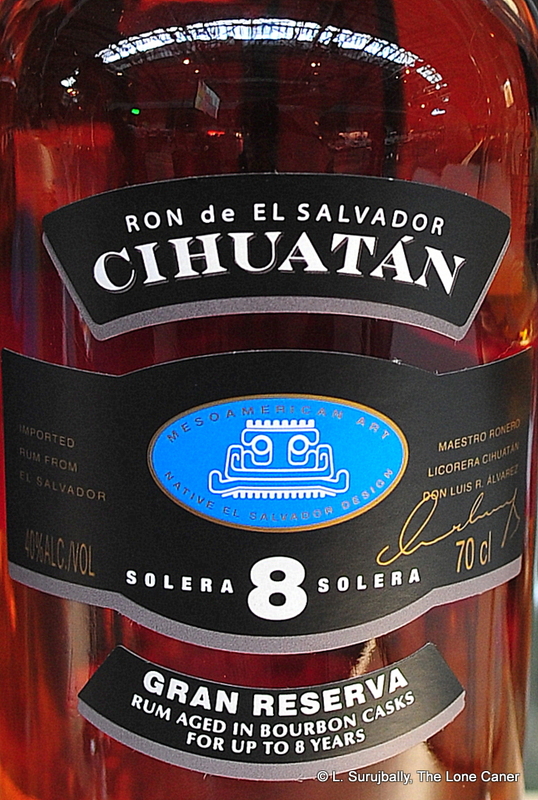 All right, so I appreciate that it’s a solera (with all that this implies) and it may have some eight year old in it, and it may be part of the revival of rum production in the country (a laudable effort, as I remarked in a comment on the Maja). But for me it needs some more work. Vanilla too much, sweet could be toned down, the overall gentleness could maybe be tarted up a touch. Don’t get me wrong, it’s a fine and easy rum with a decent, if uncomplicated palate – it reminds me of the Travellers rums, or Panamanians in general, or of a low rent Panamonte. Which might be why it didn’t make any kind of worldwide splash outside the festival and awards circuit. In the first three years or so of reviewing rums, I started out with the commonly available, easygoing forty percent rums, which included quite a few soleras, and back then I liked them quite a bit. Nowadays I think they’re good for lovers of easier fare (or of Spanish style rons) who either can’t get or simply don’t like rums of cask strength aggressiveness. On that basis, this one works fine…if without flair. If you want a relaxing drink to have around a campfire somewhere, or to unwind after a bad day at the office, a soft, relatively uncomplex rum like this would be just right. That may be why – much like with the Maja — I’ll take one if offered, but would prefer to save my dinero for its slightly older cousin, the 12 year solera when it comes out. The 12 year solera variation, if also made from the 2004 distillate, should be widely available from 2017. My fellow rum chum Paul Senft of RumJourney told me that is is currently available in the USA and the company later confirmed that it is for sale in Europe and El Salvador as well. After I sent some inquiries their way, Cihuatán responded with the following notes: small quantities of brown sugar from their mill are added to the batches in order to maintain consistency on an as-required basis (not as part of a deliberate sweetening strategy); multi-column still, not single as I had originally written (post updated for this fact); and they are working on limited single-barrel editions to be issued in the future.